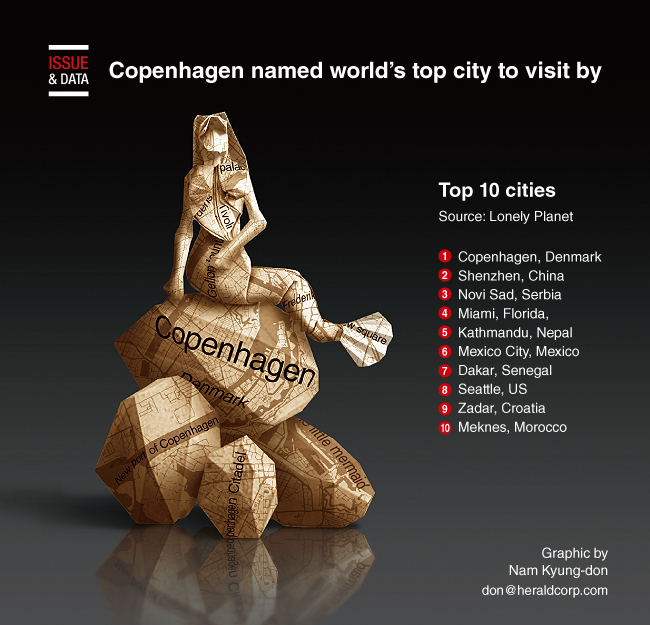 Denmark's capital Copenhagen has been chosen as the world's No. 1 city to visit in 2019, according to travel publisher Lonely Planet. The "Silicon Valley of China" Shenzhen has been ranked No. 2 on the list followed by Serbia's Novi Sad, Miami and Kathmandu.